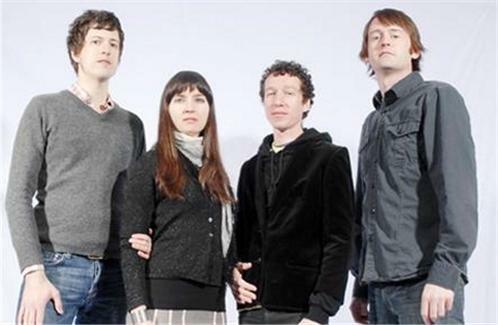 The Wooden Birds' two matchsticks is the follow up to their critically acclaimed 2009 debut magnolia. 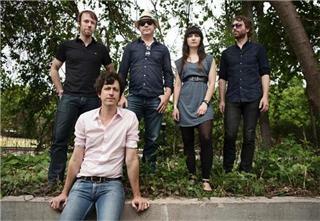 The Wooden Birds are fronted by American Analog Set founder and Broken Social Scene collaborator/touring member Andrew Kenny. Two matchsticks was recorded in a converted bedroom studio in Kenny's Austin home and mixed at Resonate Studio with producer Louie Lino (Nada Surf). It features special guest Ben Gibbard along with members of Ola Podrida. While two matchsticks keeps the percussive affects of The Wooden Birds' debut, the band drew on the strengths of their live show in writing the album, making it a stronger record sonically, more driven, upbeat and fuller than the Birds' previous efforts. The most noticeable difference is the increased presence of members Leslie Sisson and Matt Pond who, in addition to singing backing vocals on the album, sing lead and duet with Kenny on some of the album's most memorable songs. There is also a heat and a passion behind Kenny's voice and throughout the album's lyrics, and the return of the vibraphone's warm tones will also be a welcome sound to AmAnSet fans.